Following a discussion on the Shetland dialect and its value in education, it was mentioned on FB that “Peter Trudgill seems to be informing the approach taken to Scots in the schools“. What does this mean? 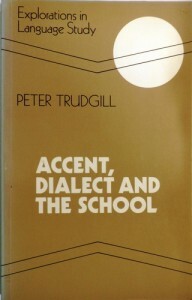 Peter Trudgill is a well-known authority on the sociolinguistics of English dialects, and has written widely on the subject. One of his earlier works Accent, Dialect and the School (1975) apparently created quite a stooshie. His basic claim was that literacy and knowledge about grammar would be helped by knowledge about and use of students’ own dialects. This gives students confidence in their language skills. Within a few years the book was on the curriculum for most English Dip.Ed. etc. courses, but apparently not in Scotland, where children could still being belted for using Scots words for another decade. Trudgill himself spoke on the value of dialect diversity this in a fascinating presentation in 2013. Professor Peter Trudgill recently gave a lecture on the importance, if any, of teaching grammar vs. teaching about grammar in schools. This lecture formed part of the collaborative project on ‘Bristol – Language, Identity and Region in Past and Present’ Using the contemporary reception of his 1975 book ‘accent, dialect and the school’, Professor Peter Trudgill, FBA (Fribourg, Agder, La Trobe, UEA) spoke about the importance, if any, of teaching grammar vs. He referes to the 2013 paper by Karen Grainger ‘The daily grunt’: middle-class bias and vested interests in the ‘Getting in Early’ and ‘Why Can’t They Read?’ reports. Language and Education, 27:2, 99-109 Her presentation here covers the same ground. Grainger makes the claim that that Trudgill’s original argument is losing ground again under attack from more traditional educationalists and politicians who want to promote and roll back to elitist ‘standard only’ approaches. What has this got to do with Scots? As usual Scots sits in an unusual position. There seems no doubt that the 70s idea that dialects are generally a good thing has at last reached some parts of Scottish education. On the other hand the “resurgence of the deficit view in media reports and (English) government documents” noted by Grainger could have an effect in Scotland causing the what she calls the “the pathologisation of normal linguistic behaviour”. 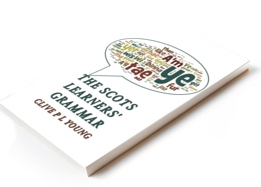 The standardisation of Scots, I argue essential for its survival, could be caught in a pincer movement between a reactionary re-assertion of Standard English and a late Scottish flowering of dialect diversity on the other!